The SEA 3200 is a new, standardized measurement, logging and monitoring platform for demanding purposes. It combines a high ruggedness, a powerful control unit and a great flexibility. The massive and vandalism secured construction as a metal cabinet incl. 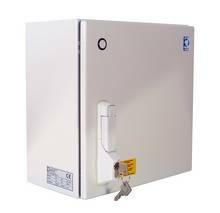 key lock (DIN 18252) makes the SEA 3200 perfectly suitable for operation in harsh environments. 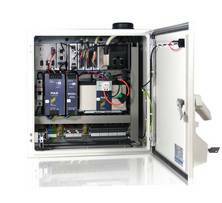 The system fulfils the protection class IP66, which enables it for outdoor usage. The wide power supply range enables a variety of different power supply sources, e.g. power grid, battery, solar power, etc. The integrated backup battery helps to overcome power supply gaps for an uninterrupted operation. The SEA 3200 offers a rugged, but powerful control unit consisting of a Linux real-time controller and a chassis for I/O modules. This core component is based on the CompactRIO™ platform from National Instruments and allows an easy adaptation to particular needs by its modularity and flexibility. The LabVIEW™ Development environment from National Instruments offers an efficient and intuitive workflow, that stands out from comparable platforms. The required measurement equipment (more precisely: number and type of channels) can be assembled by selecting the I/O modules. The wiring is done by using the standard connection block, which is an integral part of the system. Alternatively, different connection solution can be used if required (i.e. connector board). The self-supervision functionality is of a great importance, since it allows an early and autonomous reaction to changes in the system, which is helpful to avoid critical system states and therefore can save costs and time. The  is equipped with a function for self-supervision. For this a supervision module (SEA 9210) is on board. 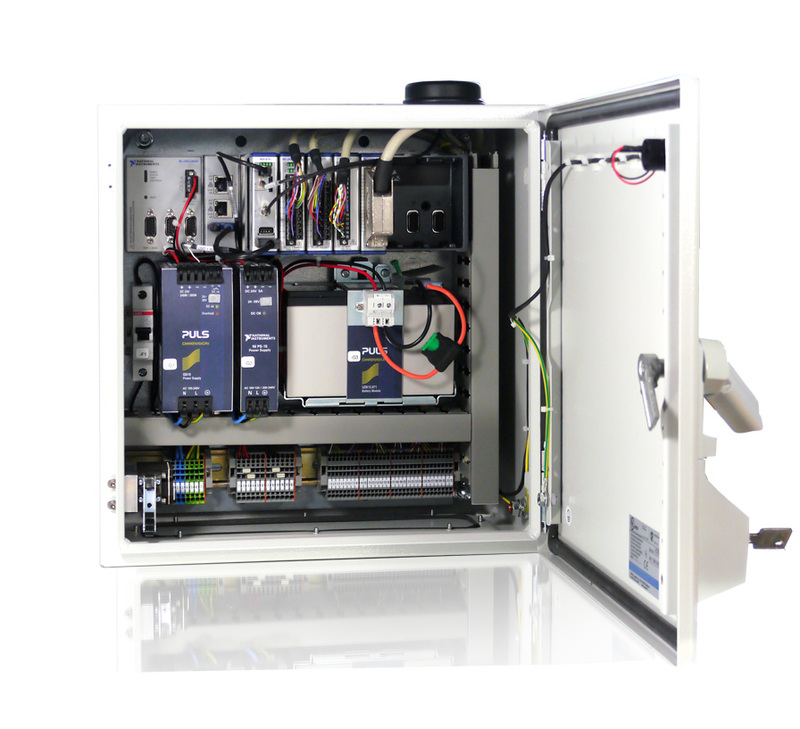 The supervision module is a combined multi-purpose module to measure various system parameters like the system and enclosure temperatures as well as system power consumption, supply voltage and supply currents. Additional digital I/O signals can be used to read switches or user interactions e.g. detect enclosure opening or to perform alarm signalling. The SEA 3240 variant comes either with SEA 9754 (world wide excl. USA and Japan) or SEA 9755 (only USA). For the installation the JKI VI Package Manager (VIPM) is required. The software driver contains programming examples, accessible through the LabVIEW Example Finder. For programming the National Instruments development environment LabVIEW™ 2013 (or higher) incl. 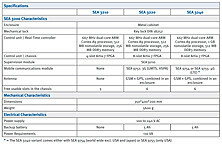 LabVIEW™ Real-Time and LabVIEW™ FPGA is required. 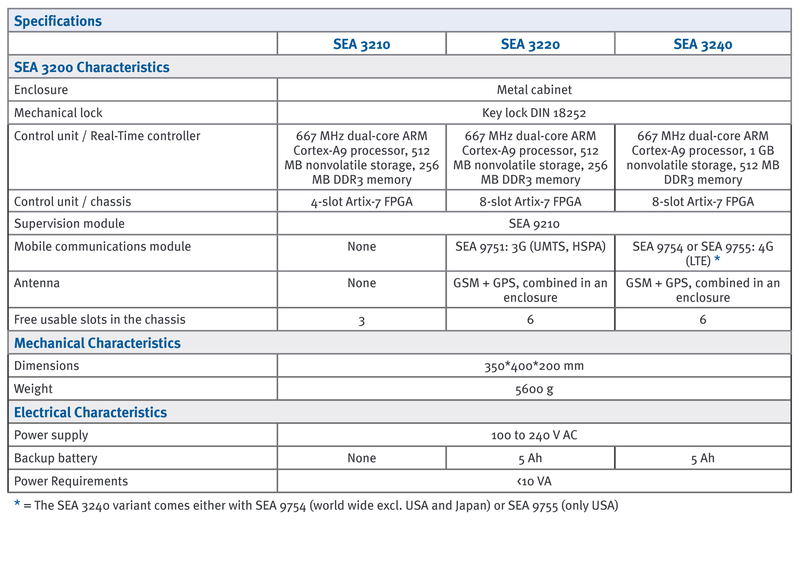 For the SEA 3200 module a warranty extension is available.